Indonesia is the fourth largest coffee producer in the world (2014) after Brazil, Vietnam and Colombia. Indonesia has produced a number of specialty coffees with a good reputation in the world market level. The specialty coffee is produced in the archipelago of Indonesia including Sumatra (Mandheling, Lintong and Gayo), Sulawesi (Toraja Kalosi, Mamasa and Gowa), Java (Ijen Plateau in East Java), Bali (Highland of Kintamani), Sumbawa (Tambora), Flores and Papua (Baliem Valley). The highland of Kintamani is flanked by two volcanoes, Baturkaru Volcano and Agung Volcano. This is an upland area with cool temperature, beautiful nature and the largest Arabica coffee producer in Bali. 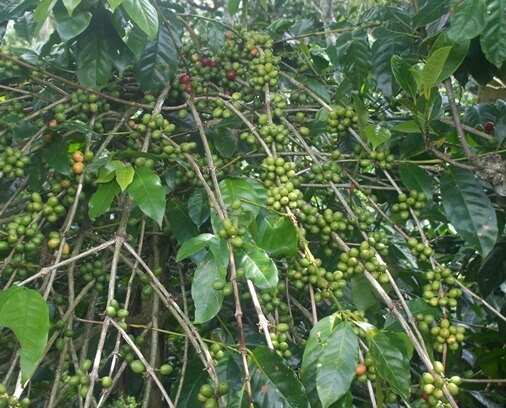 Let's take a closer look to the Arabica coffee in the Highland of Kintamani! Arabica coffee in Kintamani has been certified Geographic Indication (G.I.) in Indonesia on December 5, 2008. This certification is a step in the protection of the coffee produced in the region Kintamani and also increasing the living standards of farmers. Geographical Indication (G.I.) is a sign or name of a product that fits a specific origin or geographic location such as a city, region or country. GI can be seen as the certification of a product with specific qualities, describe a method of processing, the reputation of the product and also the origin of its geographical location. Surely, GI also inseparable with international issues. When a product is certified and has a reputation of GI recognized internationally, it will provide opportunities for other products to be able to participate in the competition (international market) as an authentic GI product although in fact not. This certainly is an unfair competition, discourage traditional coffee producers, and mislead consumers. But in reality, it is not only experienced by coffee product alone. Therefore, GI continued to be refined so as to provide optimal protection internationally and improve the lives of coffee farmers. Bali Coffee and other coffee from Indonesia (Java, Mandheling, Toraja, Lintong, Gayo, etc) are already well known by the world market even before the independence of Indonesia. However, the eruption of Mount Batur (1917, 1948 and 1977) and Mount Agung (1963) became a major factor in crop damage of coffee plantation in the Highland of Kintamani. Not only that, during a period of 15 years, the quantity of Kintamani Arabica coffee production experienced a significant decrease. 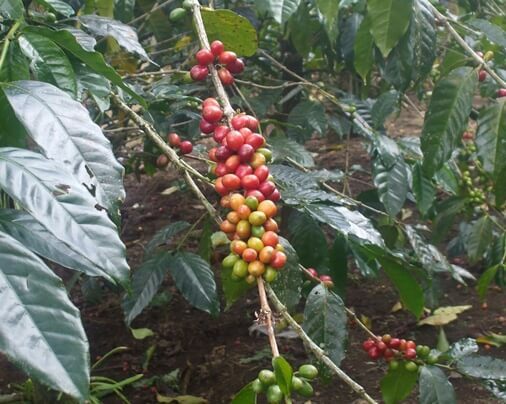 The government tried to restore the glory of Coffee Arabica during a period in the 1970s and 1980s in the form of provision of seeds to farmers. Unfortunately, between the 1990s until the early 2000s the price of coffee drops, unlike tangerines that were still high. This makes farmers limiting the coffee growing area. The majority of farmers do a combination of tangerines and coffee, but some of them do a total replacement with tangerines and this can be observed up to now. 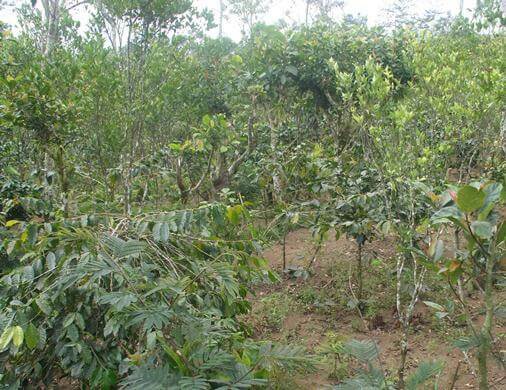 In addition to increase income, tangerine also functioned as a "shade trees" for the coffee plants. In addition, farmers also use other plants such as legume trees (Albizia spp., etc), banana, and others. The coffee farmers in Kintamani adopt organic farming systems for their coffee crops. Organic agriculture has emphasis on sustainability, improvement of soil fertility and biodiversity. This concept prohibits the use of synthetic pesticides, antibiotics, synthetic fertilizers, genetically modified organisms, and growth hormones. The majority of coffee farmers raise cattle and other domesticated animals. It aims to increase the income of farmers and produce manure for the coffee plant (as compost). 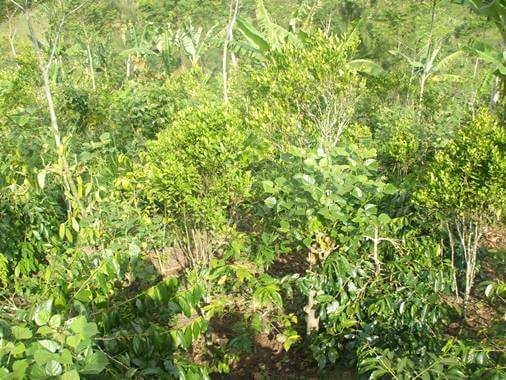 For the needs of feed, farmers take advantage of leaves produced by shade trees. Farmers do not use pesticides on their coffee plants. Kintamani coffee farmers joined in a group called Subak Abian (SA). Subak Abian represents a uniqueness that is often found in Hindu Philosophy called "Tri Hita Karana" means tree causes happiness. The philosophy Consist of the importance and relationship of human being to God, to others and to the environment. This uniqueness is reflected in the written internal rules are made democratically (called "awig - awig") covers aspects of agriculture, social life, and other religious ceremonies. 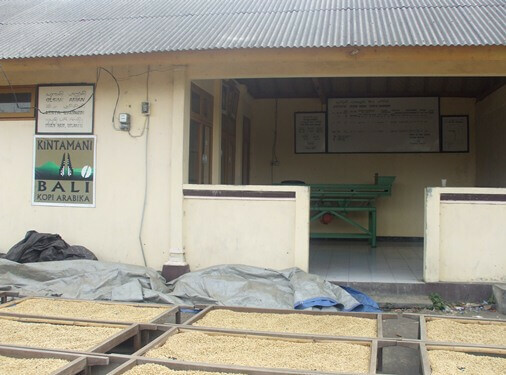 Coffee farmers in Kintamani use varieties of S 795 and USDA 762 in accordance with the advice of the government. Both of these varieties are relatively resistant to leaf rust disease. 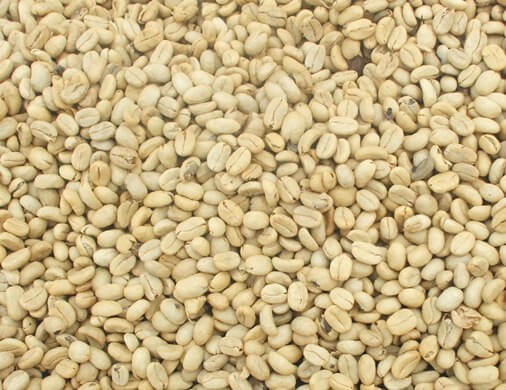 Besides this variety is also widely used by coffee farmers to produce Toraja Coffee (South Sulawesi) and Java Coffee (East Java). The growing zone delineation of Kintamani Arabica coffee (GI) is agreed by using the altitude of higher than 900 meters asl. This zone includes three regency consist of Bangli, Badung and Buleleng Regency. Kintamani itself is part of Bangli Regency and is the largest producer of Arabica coffee in Bali. In the highland region of Kintamani, Arabica coffee is cultivated at an altitude of 1000-1500 meters above sea level, but most are at an altitude of 1200 meters above sea level. The higher of the altitude, the better in resulting of aroma and flavor formation. Improving the quality of coffee is an important part that continues to be done. The farmers continue to improve the processing from Dry Processing (DP) into Wet Processing (WP). In the method of DP, farmers are plucking at a time (strip picked) which is dominated by the colors of yellow and green. And then dried for approximately 2 weeks. 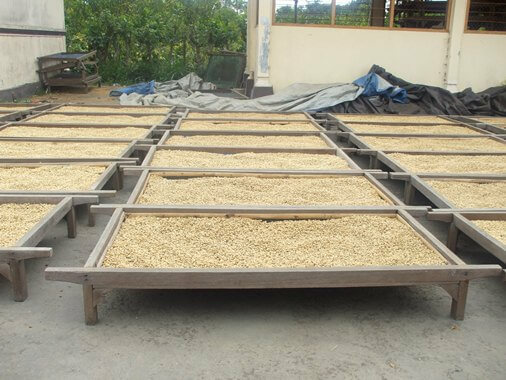 Meanwhile, the wet processing method (WP) begins by simply picking red seeds or selectively picked (mature red cherries), inferior sorting, removing the pulp, fermentation, washing, sun drying on the racks, removing parchment, and quality grading. With this method will improve the quality of coffee and decrease the percentage of defect beans. Based on the results of the coffee taste cup, Arabica coffee in Kintamani highland has a unique and specific character. Arabica coffee in Kintamani has characteristics as follow: (i) medium to high acidity; (ii) good to very good aroma quality and intensity; (iii) fruity taste (lemon); (iv) medium body; (v) very light astringency and (vi) clean cup. Mawardi, S.; Avelino, J.; Sallee, B.; Perriot, J.J.; Sautier, D.; Lelong, C.; Jacquet, M.; Ribbeyre, F.; Keller, V.; et al. (2005). "Developing Geographical Indication Protection in Indonesia: Bali Kintamani Arabica Coffee as a Preliminary Case". Seminar On Geographical Indication: A Land of Opportunities, Hanoi (Vietnam), 15-16 November 2005. Retrieved 11 August 2016. Mawardi, Surip. (2009). "Advantages, constraints and key success factors in establishing origin-and tradition-linked quality signs: the case of Kintamani Bali Arabica coffee geographical indication, Indonesia". FAO. Retrieved 16 August 2016. Hulupi, Retno. "Kopi Arabica". ICCRI (Indonesian Coffee and Cocoa Research Institute). Retrieved 16 August 2016. Mandiri, Tim Karya Tani (2010). Pedoman Budidaya Tanaman Kopi. Bandung: CV. Nuansa Aulia. Panggabean, Edy (2011). Buku Pintar Kopi. Jakarta: PT. AgroMedia Pustaka. Great post! Would you have any particular coffee farms in kintamani that you would recommend visiting. I am a coffee professional who has never been to origin :/ so I really want to find a place that is authentic and geared towards the specialty coffee industry. Any leads would be greatly appreciated! Thanks!